Starter Kit - Become a Consultant! Our Full-Size Scentsy Warmers and Premium Full-Size Scentsy Warmers let you express your individuality and make a statement in any room. 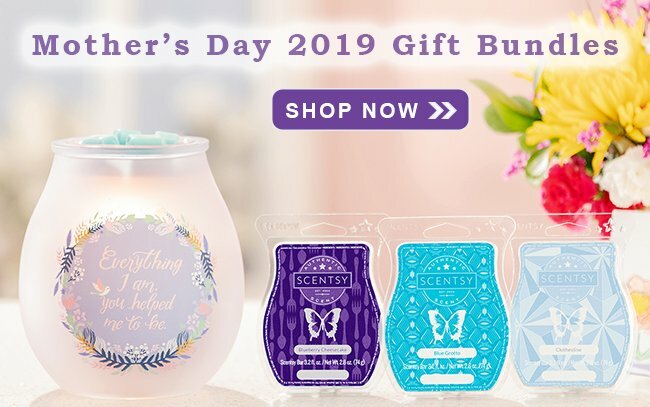 Premium Full-Size Scentsy Warmers require extra time and care to create, with higher-end finishes, decorative ornaments, and distinctive shapes. All are approximately 4.5” wide and 6” tall; uses a 25-watt bulb.Refresh your home with Scentsy’s authentic wickless candles. Simply break off portions of your favorite Scentsy Bars and add them to a warmer for long-lasting fragrance! Available in more than 80 scents.For the child in your life or the child in you, the Scentsy Buddy™ is always ready with a big dose of fragrance! Snuggle your Buddy for a great night’s sleep or make outings fun when you bring a playful friend along. The Scentsy Buddy is the perfect cuddly companion—and there for you no matter what.